The Trout Thumper Swim Bugg is the first Bugg designed with speckled trout in mind. A 4″ paddle tail swim bait is very effective on trout, snook, redfish, flounder, and all types of bass. 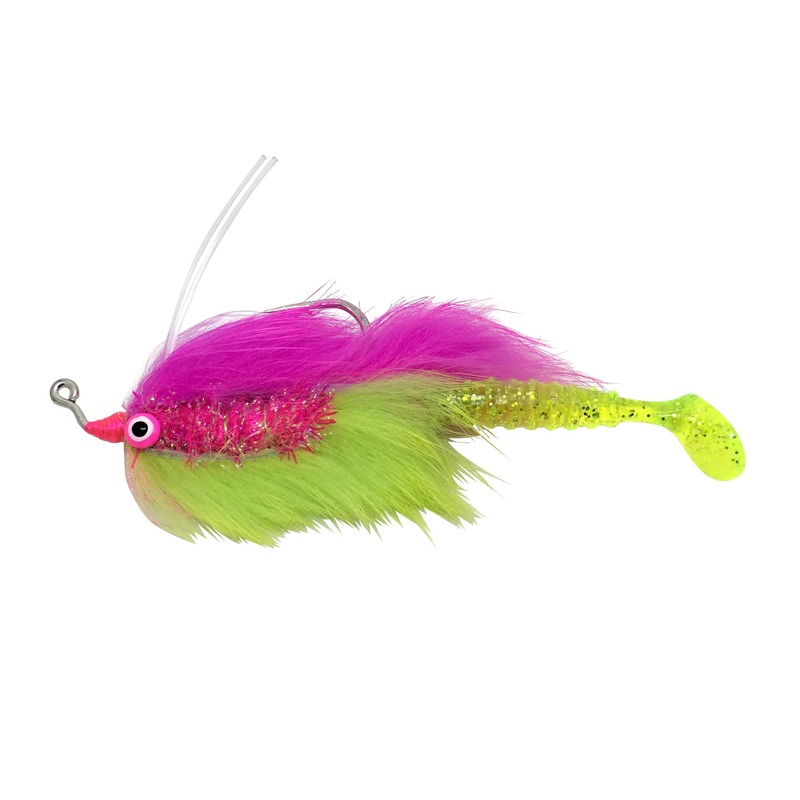 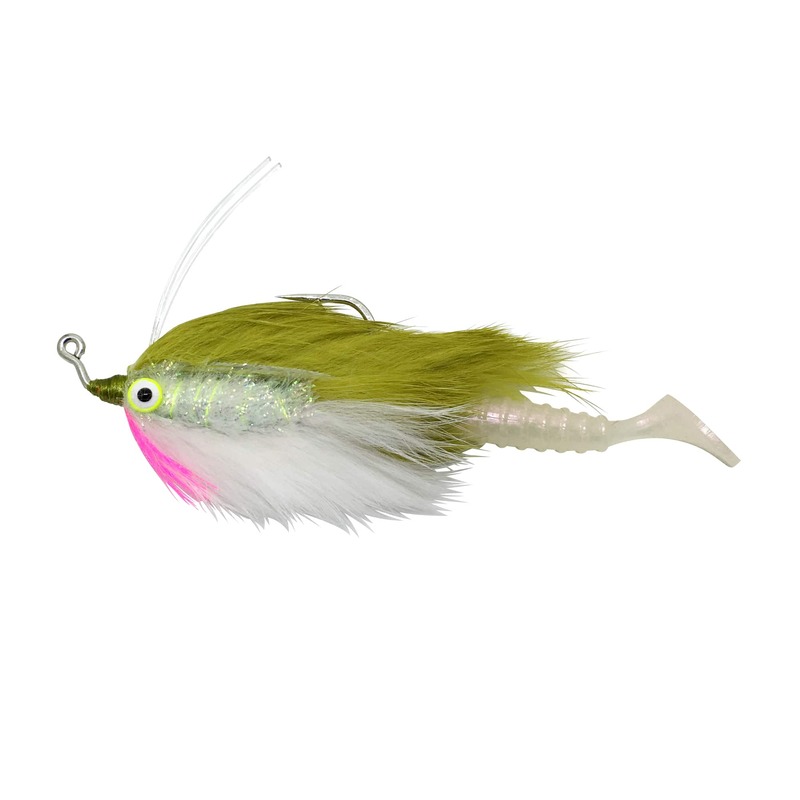 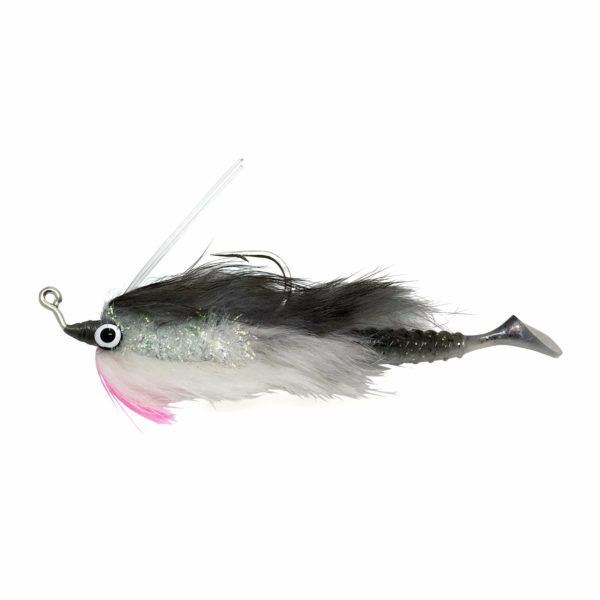 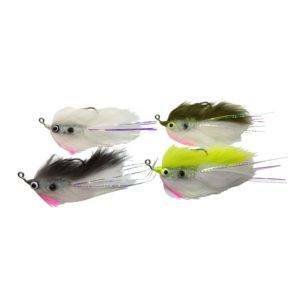 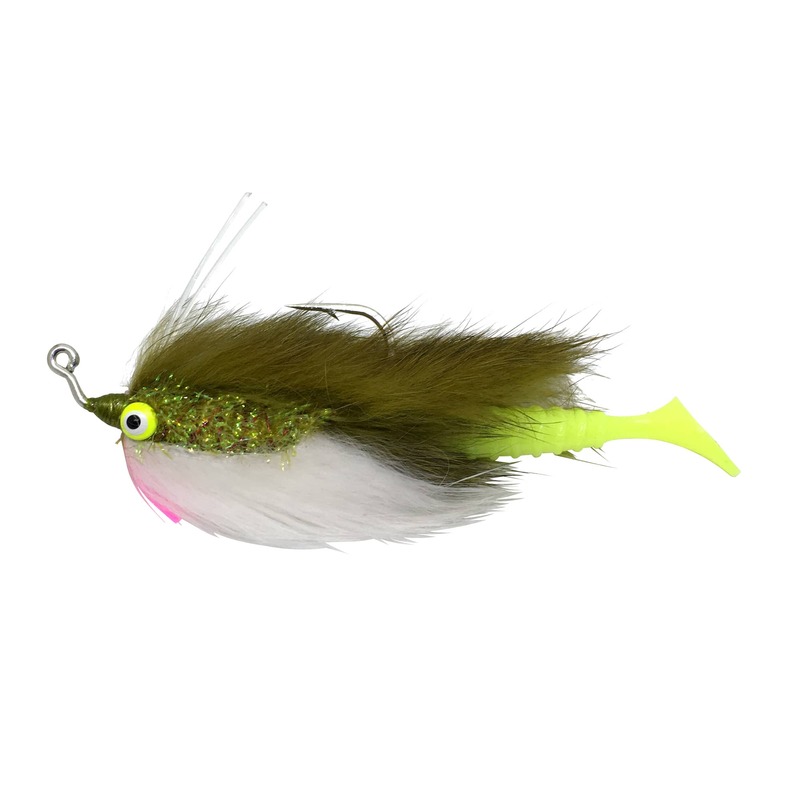 Just about anything we ever fish for eats 4″ baitfish, and the Trout Thumper is an excellent imitaiton! We’ve applied Buggs ingenuity to the design and have made several improvements. 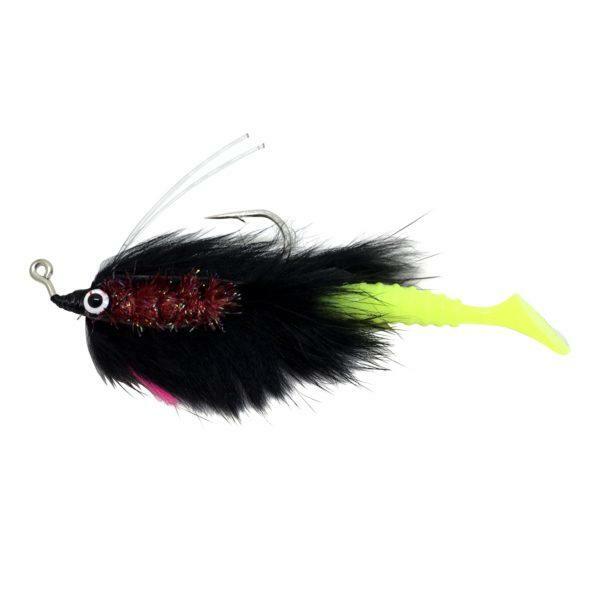 This Bugg is weighted in the middle, so it falls evenly and can be worked evenly along the bottom. 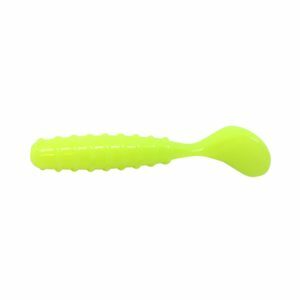 Twitches of your rod tip will give it a tail kick and lift it up, while steady retrieve will fully engage the paddle tail and attract fish with the vibration. 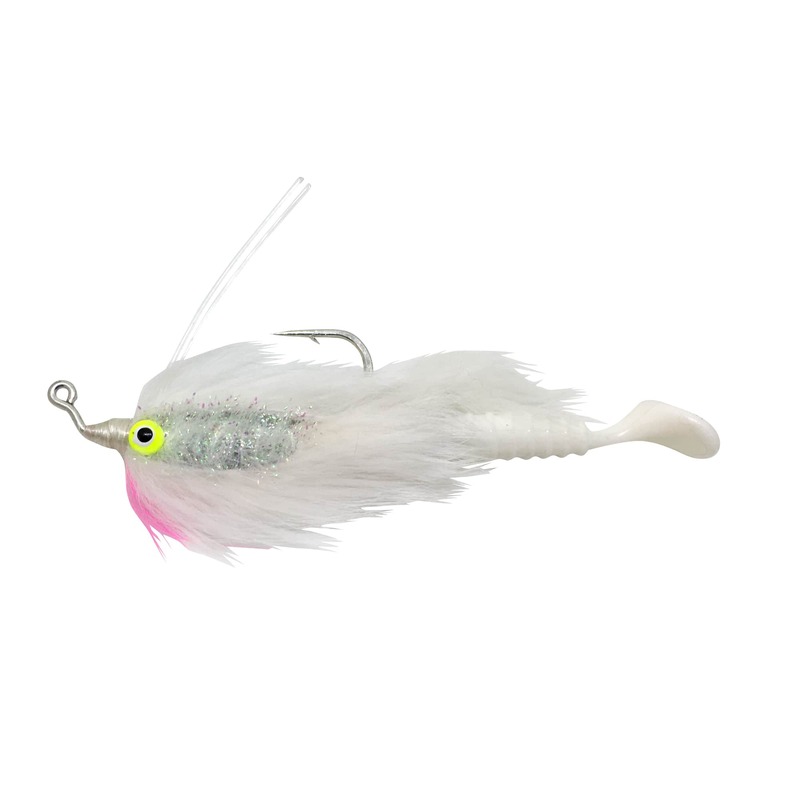 They’re tied on a 4/0 saltwater jig hook that is strong, sharp, and durable. 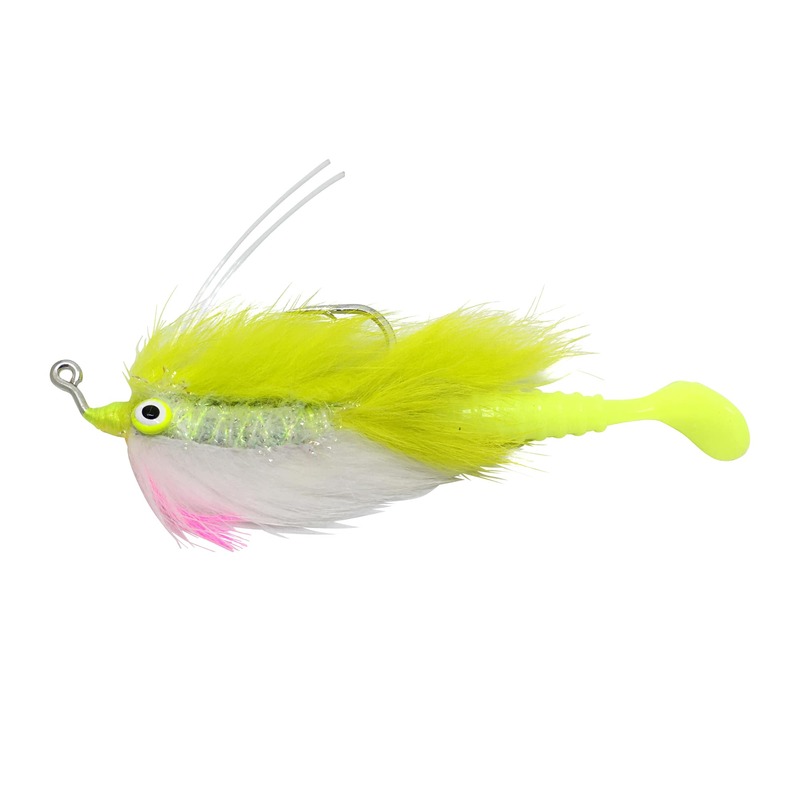 The rabbit strips on the top and bottom give it tremendous action in the water no matter how quickly or slowly you’re working this lure. 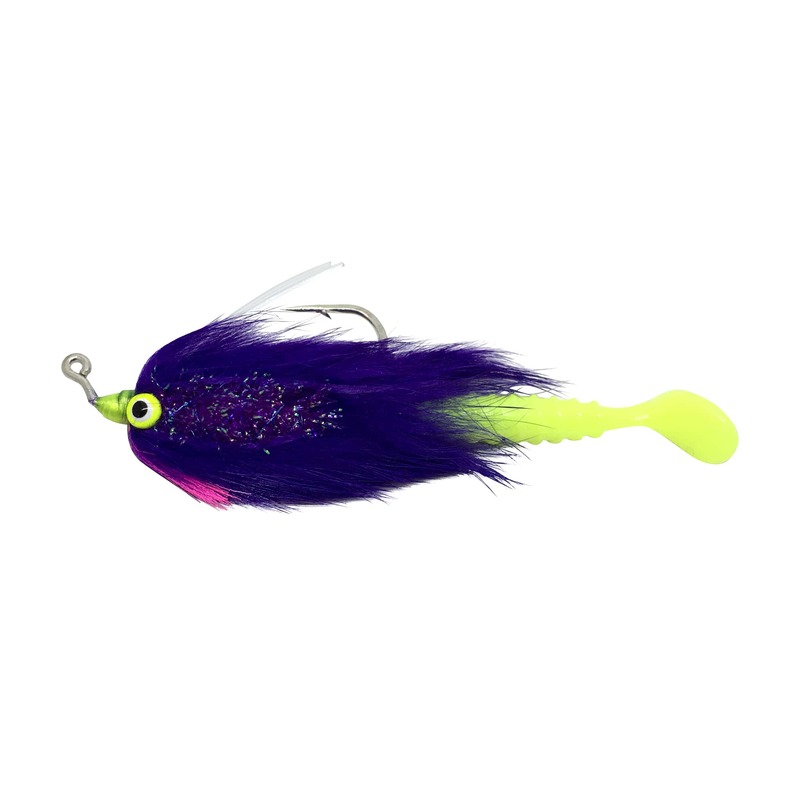 The double weed guard will help you avoid snags and grass, and the accent flash at the throat increases it’s appeal. 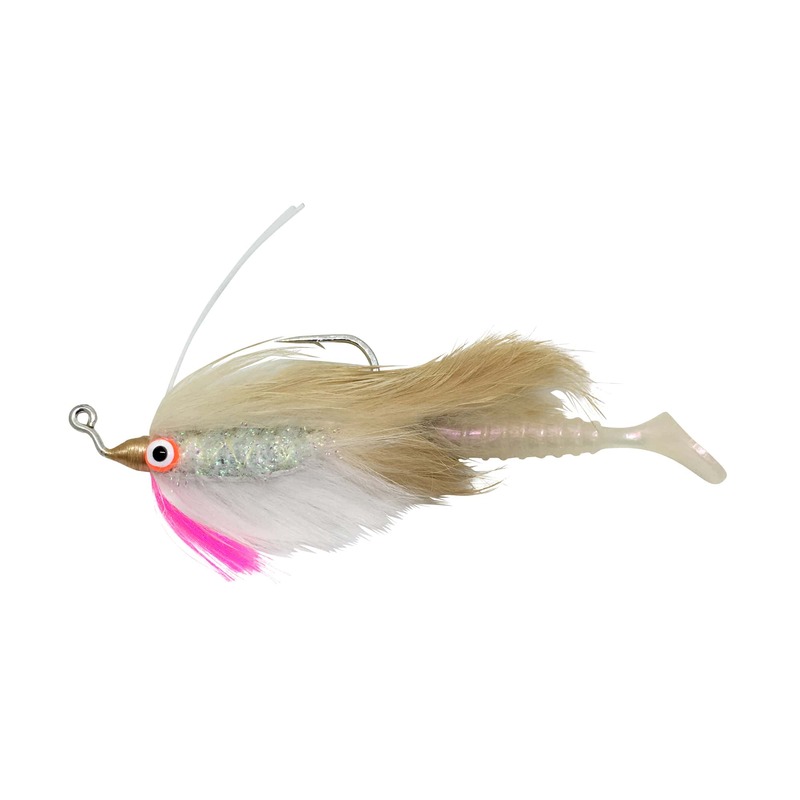 Complete recipes, tying instructions, and tying video is available.